Tonight I got a glimpse of the love of God, so tangible and present that I know I am loved. I am here in the dimmed lights of the living room watching my two grand children sleep. My heart is so filled with love for them, it is overwhelming at times. Is there anything more precious than a sleeping child? Imagine how precious we are to God when we rest in His love. It wasn’t an easy night. Neither of the kids is feeling too well. 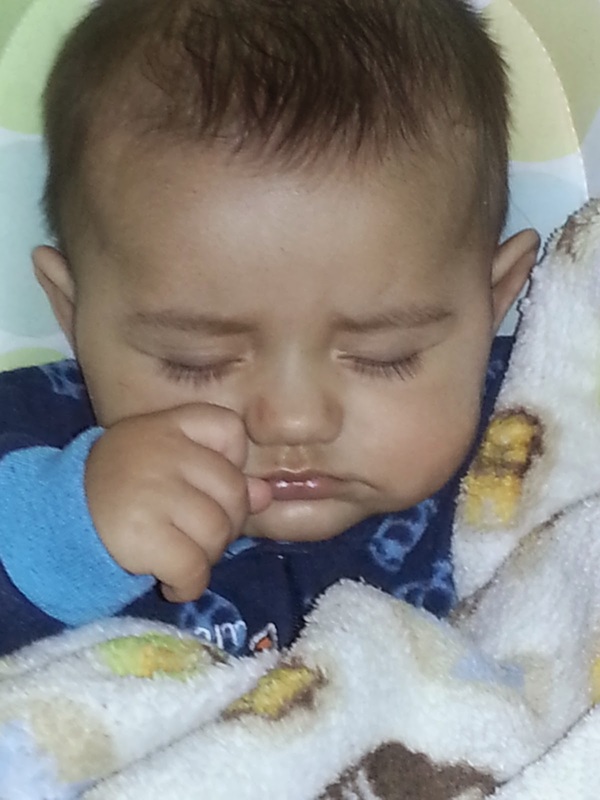 My grandson was fighting sleep. I try to calm his soul, rocking him as he finishes his bottle. So much like God’s children. He says “Rest.” All we can think about is the million of things that we have put on our to do list, most of which God didn’t call us to do. God also tries to calm our souls, if we let Him. If we can just get still and quiet, we will find rest. 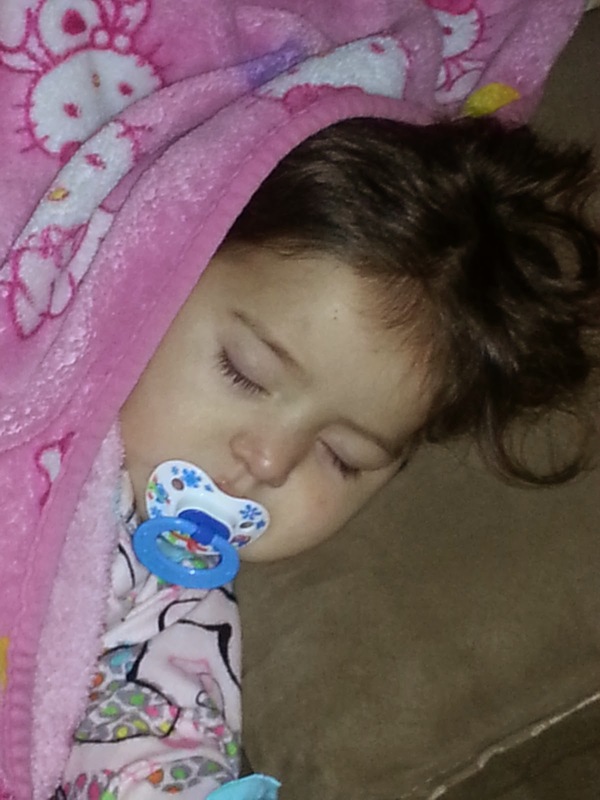 My granddaughter wasn’t fighting sleep, she was just wanting her way. She didn’t like the time and wanted to stay up later. She didn’t want the big bed, then didn’t want the baby bed, she wanted the couch. She didn’t want the red blanket, she wanted her blanket. I admit, after listening to her cry “Mimi” for five minutes I finally gave in and she is now sleeping peacefully on the couch with her blanket, thirty minutes after I called night-time. Before she dozed off, she was just staring at me with those big brown eyes, all puffy from the tears. I signed our special love language “I love you” her little eyes smiled and sparkled back at me as she finally fell asleep. What I see is that God’s love is real. I know that I can not imagine His full love for me. I know that He wants us to rest in His love always. There is so much that we take on and burden ourselves with that is unnecessary. I know there are times that He just looks down at us, despite our fight and despite our wanting things our own way, and just looks on us with such love. This entry was posted in Hope and tagged Lessons, Love, Relationship. Bookmark the permalink.